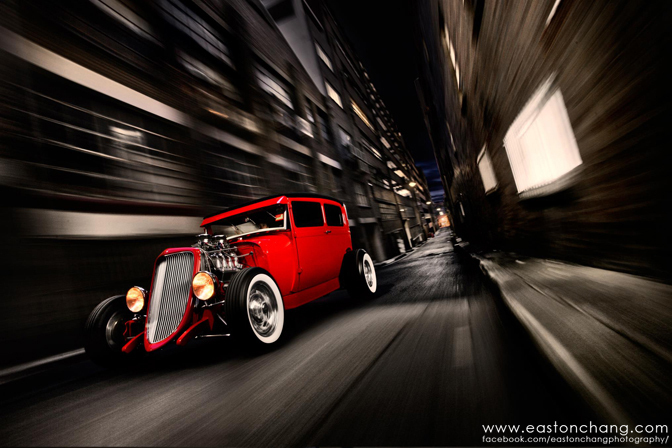 Many of you will be familiar with Easton Chang, the automotive photographer whose work regularly graces magazine covers and manufacturer advertisements. However, what few realise is the fact that Easton is self-taught and self-made. Through years of hard work and dedication to his art, Easton has gone from a nobody to one of the established photographers, and has claimed a staggering number of awards along the way. I first worked with Easton some eight years ago when I was the Editor of ASM, and his talent was immediately apparent. Over the years he has gone on to define a photography style of his own, and now lives the dream of many budding photographers. Easton kindly took some time out of his busy schedule for this interview on how he started, being a pioneer of the digital era and the need for reinvention. Speedhunters: Tell us about your first experience with a camera. Easton: Like most people when I was a kid I had to take snaps for the family with our basic film cameras. But my first "real" camera experience was in 2001 when I purchased my first camera, a Canon PowerShot S45 so I could take some decent quality pictures of my beloved Honda Integra Type R (which I still have, ten years on). 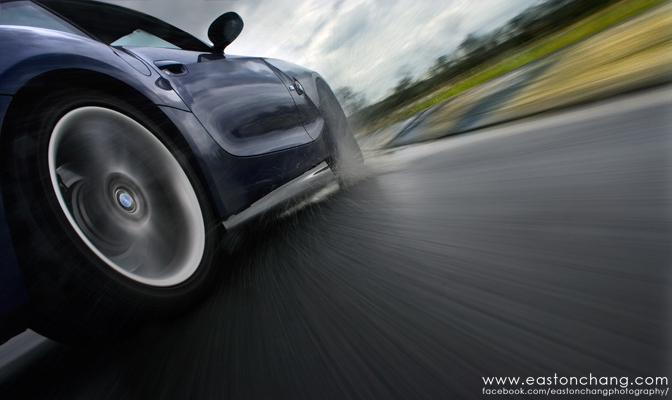 It was through that and the local car community that my passion for shooting cars began. I took this redline shot four days after I bought it, and the popularity of this photo fueled my confidence to do more. Speedhunters: When did you think to yourself: 'I’m going to do this professionally'? Easton: I was skeptical about being a professional photographer for a long time. I was studying Software Engineering before I started playing with photography, so I had always assumed I'd end up in IT. 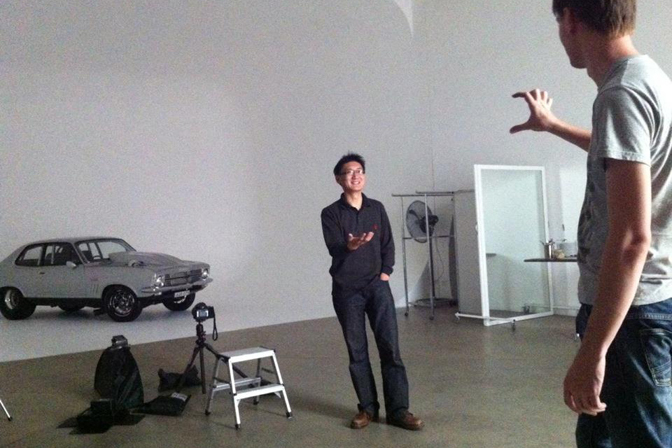 Even when I did my first paid magazine photoshoot I was still skeptical that I'd even be doing this for a living. I think it was three or four years later (after I finally finished my degree) that I was shooting full time and began to realise this could "possibly" be my professional career. Even now I still wonder if I'll still be a professional photographer in the long run. 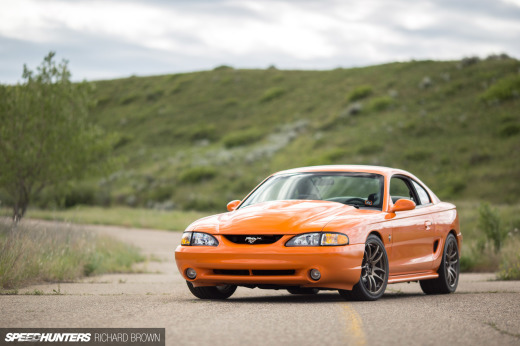 Speedhunters: Did you need to build up your confidence? Easton: Absolutely. And the internet is the sole reason I became a photographer. Because it's such an impressionist field you can easily have your personal impressions influence the real value of an image. When you stare at an image for a long enough time you lose track of its value. You can like an image that's actually crap or hate an image that might be really good. I started out on online photography communities and forums where I could anonymously post my work and receive real world feedback. 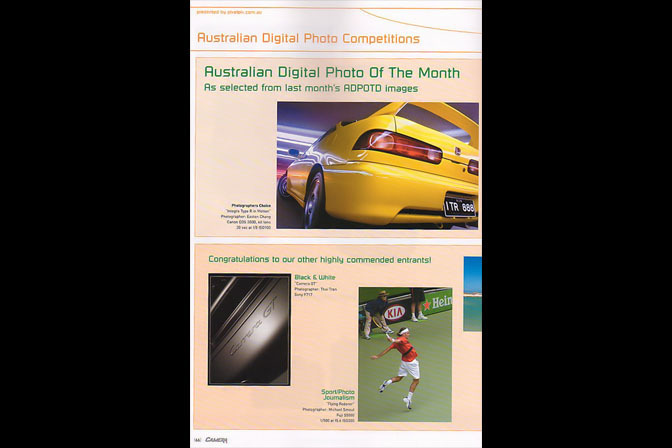 My first magazine publication was winning a "Photo of the Month" comp. Speedhunters: How did you get your first shoot published? Easton: For a long time I was stuck in that mindset where I'm "still not good enough" for magazine standards. I think many people go through that phase until someone gives them the kick they really need. I literally had to be pushed by a photographer I had met on a forum and coached me into being confident enough to send my work to magazines. If he didn't do that then I'd probably still be thinking "I'm not good enough" today. A few titles expressed interest in principle but the first one to really commission me was the Editor of SPEED magazine. 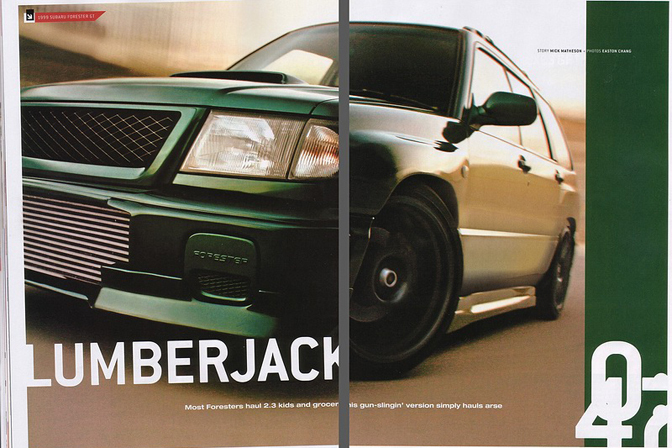 It was a modified green Forester GT, slammed of course. 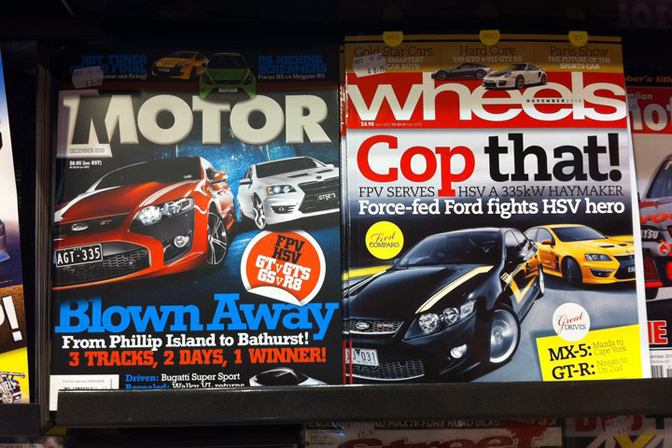 Speedhunters: Tell us what it was like seeing your work in a magazine. Do you still get the same buzz today? Easton: It was a huge buzz! But it also opens your eyes a little to the world of design and layouts. I was only used to seeing my images displayed alone on a computer screen, so seeing them incorporated within a layout design is an entirely different story. I learnt that you can't conceive images on an individual basis, but as an entire set or story layout. 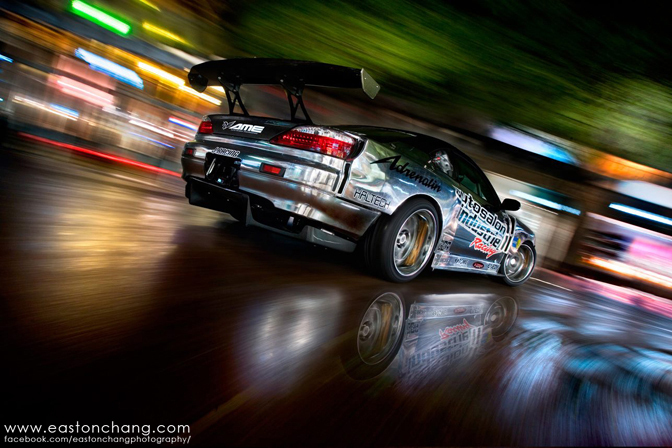 Speedhunters: I’ve noticed there are some photographers that don’t get along too well with Art Directors! Have there been any moments where you’ve had to sigh and bite your tongue? Easton: There are definite conflicts between creativity vs editorial briefs, however they are not negative conflicts in my opinion at all. They are an important part of the shooting process and as their shooter it's my role to work with the two requirements, even when they might be at odds with one another. For instance, sometimes the staff in the magazine office don't get to see the cars on location as I will, so their executive decisions might not be compatible with the circumstances on location. But similarly while I'm on location I don't know the circumstances in which the photography will be used in the issue. For instance, when shooting a new car there may be specific areas in the car that must be shown to document the changes, regardless of artistic merit (or lack thereof). Or when a previous issue's cover is very green and bright, the next issue might need to appear dark and urban. All these editorial requirements are thought of in the office and so I must take them seriously. If I just take images however I want without any direction, the magazines will probably look awful, or at least unappealing to most readers who are looking for automotive news and content. So at the end of the day it's about juggling between the two requirements, knowing what's crucial to keep in the brief and knowing what's flexible, to create and deliver the best outcome possible. Speedhunters: Back then a few established film photographers didn’t like the emerging digital era, particularly the idea of using Photoshop. What were your thoughts on this? Easton: If they didn't embrace Photoshop or at least 'some' digital techniques then, they probably are now! Particularly in the world of car photography, I think it's vital and goes hand in hand with lighting. If they don't like Photoshop or shooting cars digitally, what must they think of CGI! Speedhunters: You became known for rig shots. How and why did you start doing them? Easton: The reason I became known for rig shots is largely because I was one of the first to do them. This was at a time when we couldn't learn or copy the technique, but conceive it entirely on our own. My first "full car" rig shot was my mother's Honda Accord, and that was back in 2002. Back then rig shots weren't yet part of the editorial industry, but were increasingly dominant in the advertising (big budget) world. For this reason it was so incredibly hard to figure out how to get that perfect panning effect. There were no other editorial shooters, tutorials, forums or blogs discussing them because the only rigs that existed at the time were very high-end carbon fibre rigs used exclusively in the advertising industry, and even getting a photo of them were extremely rare. I asked many retouching and photography "experts" at the time, and everyone’s answer was that the effect was simply Photoshop. They were wrong, of course, and when I managed to make my first ghetto, home-made rig (with literally no one else could copy or learn from at the time) it gave me a monopoly with the rigging technique in the editorial industry, on a global scale, for a number of years. Long enough for people to permanently associate my work with that "look". Many people can do rig shots today, through information from the net, or purely reverse engineering other amateur work. But few people can appreciate how difficult it was almost a decade ago when there was virtually nothing to reverse engineer from! Speedhunters: What are some of the difficulties you encounter with rig shots? 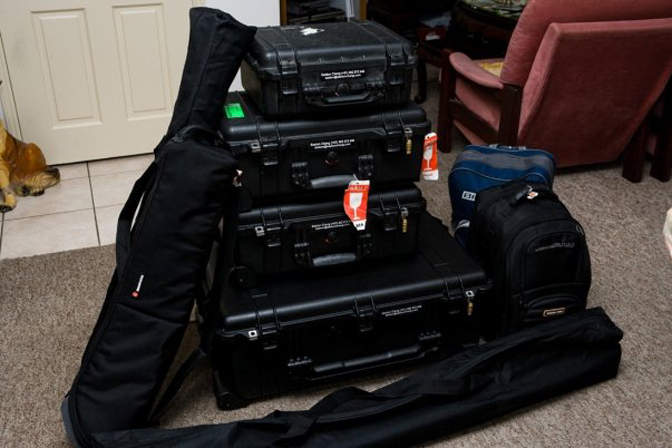 Easton: Rig shots take time to set up and do, it also involves a large amount of minimum equipment. The most difficult being shooting interstate when all my gear has to fly with me. I got around that issue by storing a "rig set" in every major Australian capital city (and a set in London), and simply collecting/dropping off the set whenever I'm commissioned to shoot a car there. You're also always carrying some degree of risk when it comes to rigging absurdly valuable cars. 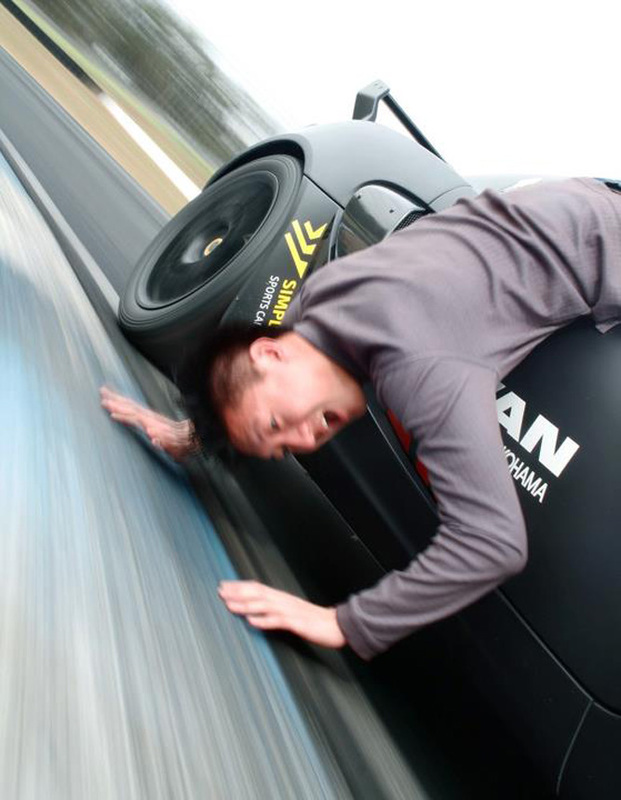 Speedhunters: The scariest moment when on location? Easton: Oh man, not sure I can really say this one out publically! There's been some! Speedhunters: What would be the most exhaust or challenging shoot you’ve been on? 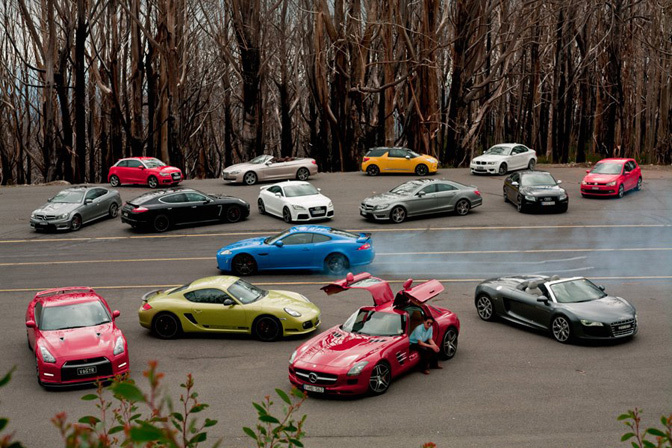 Easton: NOT our NSX GT shoot! I remember doing a shoot for a magazine that went for 22 hours, non-stop, not even for a drink or snack. The client put me in Motel Formule 1 the night before too and the alarm went off at 3am in the morning. Speedhunters: Did you ever feel that you would be pigeon-holed as a rig-only photographer? Easton: Definitely, but I think that's what has helped make me a better photographer. The pressure of being potentially seen as a one-shot-pony forced me to constantly develop new techniques, styles and ideas. Speedhunters: There was a point when rigs were a big thing with amateur car photographers. What are your thoughts on this, and any advice? Easton: Rigs are here to stay, but it's only one part of the whole gamut of skills they'll need. My best advice is not to rely on rigs simply for its effect, i.e bolting a camera to a car then doing circles in a park lot. Make it tell a story, and try to capture a moment. 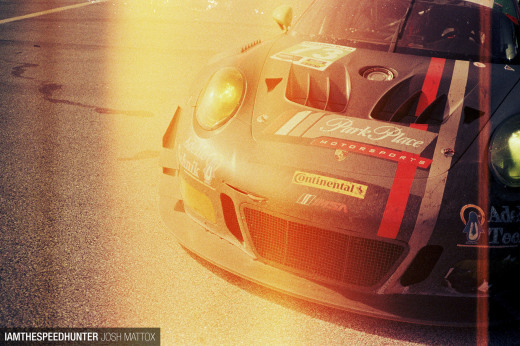 Speedhunters: What separates a good photographer from a great photographer? Easton: Those who excessively rely on copying other people's styles are doomed to never find their own. Some photographers are particularly talented at reverse engineering photographs and the techniques used in it. It gives them a solid boost in the short term but in the long term it really harms their signature style as it looks too similar to others. Every image you take shapes your name and style as a photographer. I've found that the most unique style, not necessarily the best, is what gets people recognized in the industry and ultimately become a great photographer. This applies in all fields of photography. Too many emerging photographers reverse engineer a certain style, or technique, then say "check this out, I can do it too!". The problem with this is, the moment you step into the "I can do what you're doing" mentality, you're losing your ability to be truly creative and invent your own signature style. Speedhunters: I remember speaking to you when you had just been asked to shoot for a manufacturer. Tell us about the moment when you were given that break. Easton: I was nervous because there's a lot of logistics and production involved in preparation for the shoot. However, as soon as you're looking at the car and holding a camera, I found myself comfortably shooting again. Speedhunters: Tell us a bit about some of your recent work. Easton:Audi R8 V10 GT, I remember Audi handing me the keys to this imported example (numbered 000 of 333) and leaving me with it for the afternoon. 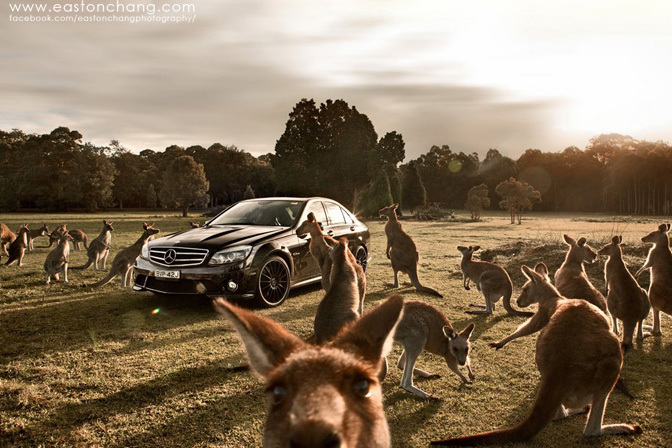 C63 AMG, my friend was helping me position the car and lure in the Kangaroos, they're not as cute and cuddly up close as you think! Motor Magazine's Performance Car Cup 2010, all I remember was the unbelievable searing heat. 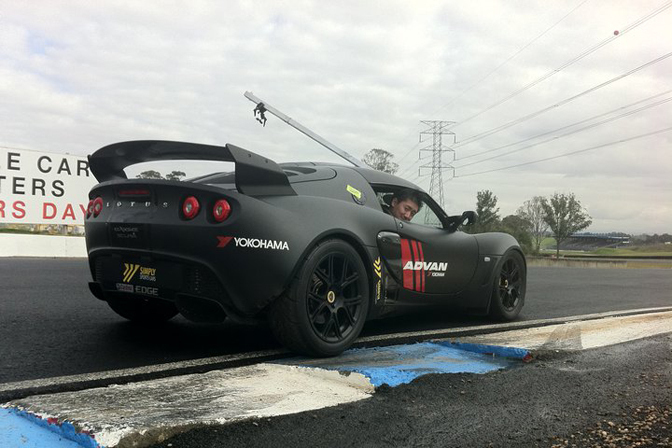 Motor Magazine's Performance Car Cup 2011, this was the cover image. 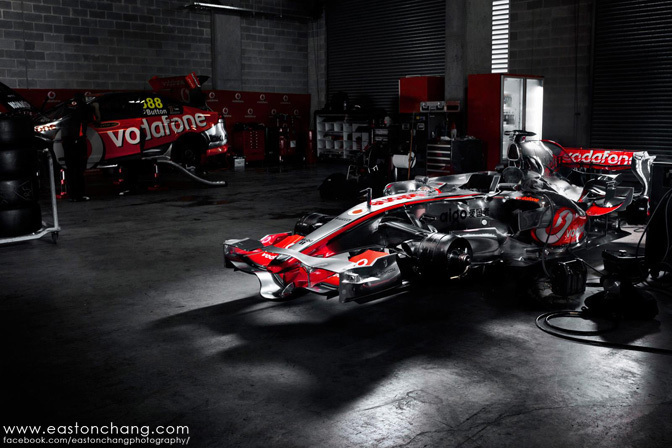 Craig Lowndes' V8 Supercar and McLaren's MP4-23. An incredibly rare sight to behold, and I was kicked out shortly after taking this shot. 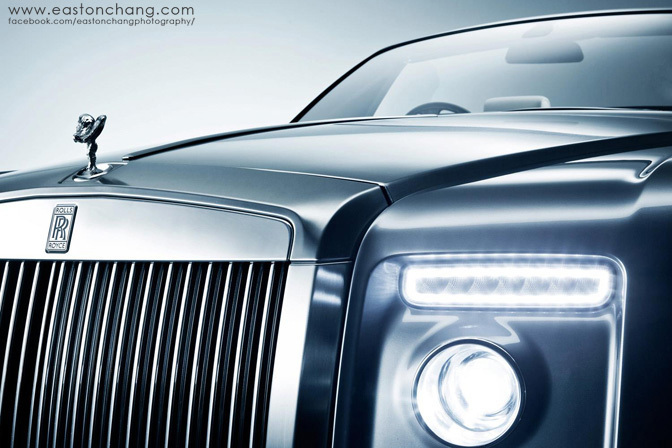 Rolls Royce Phantom Drophead Coupe in studio, amazing! 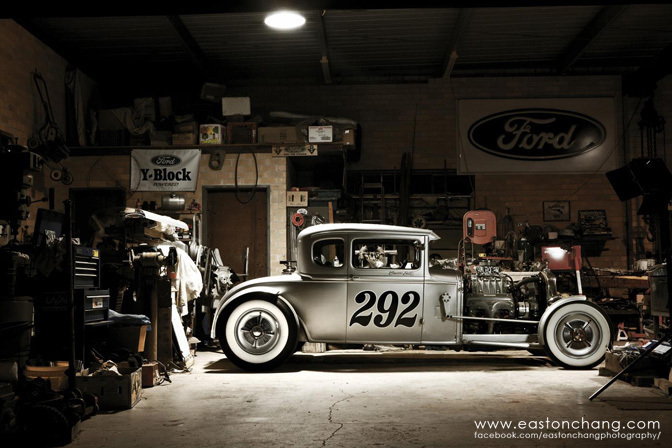 Ford Hot Rod for Street Machine Magazine. 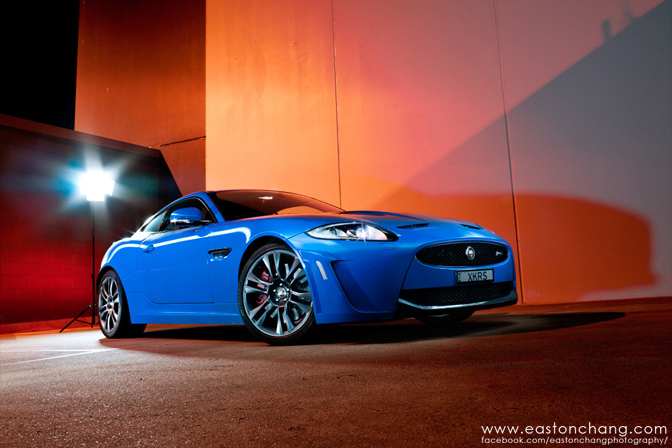 Jaguar XKR-S, it didn't win the comp but won many hearts at Motor Magazine's PCOTY last year. 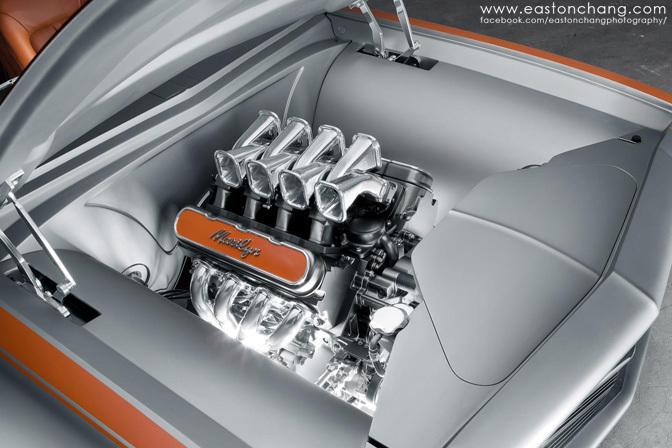 This satin grey HQ Monaro was especially challenging to light. 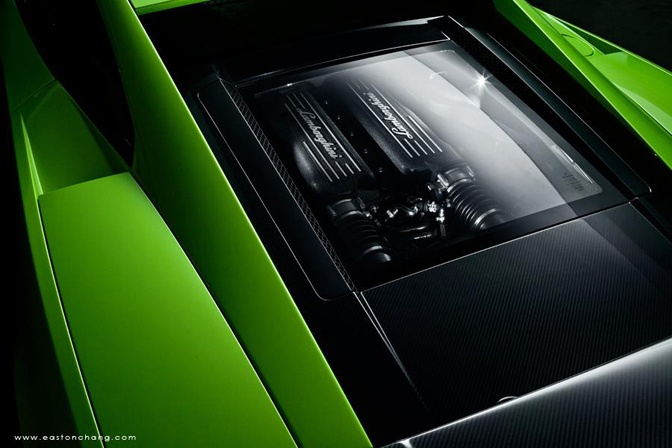 The most rushed Lamborghini Aventador shoot ever. We had less than 5 minutes with the car and this was the only shot we managed to get out of it! Speedhunters: I think a few of our readers would want to know what it's like being a professional photographer. What are some of the pros and cons of shooting full time? Is it everything it’s cracked up to be? Easton: It's not too hard to get into shooting cars. Forums and blogs show plenty of info to get you going but it's very, very hard to make a good living out of it. It's the type of niche and market where say, the top 10% of available car photographers can earn regularly enough to put food on the table, but less than 1% can earn a decent amount of coin. Of course the top exotic advertising shooters earn very, very good coin, but they're like top 0.001%. You have to look at all the current established (and establishing) car shooters available, and ask yourself if you can establish a style that's at least better than what's already available. It's a risky business but you can't begin to fathom the value of doing something you absolutely love for a living. I have a Software Engineering degree. For years I shot part-time to ensure I'd finish my studies and have something to fall back on. …And some not so great moments. Speedhunters: Have you found it harder to survive as a pro now that there are so many would-be car photographers? Easton: There's an abundance of new emerging photographers but very few of them are standing out for themselves. Who knows how things will turn out later down the road, but in the meantime I'm doing the very best I can and enjoying every moment of it! 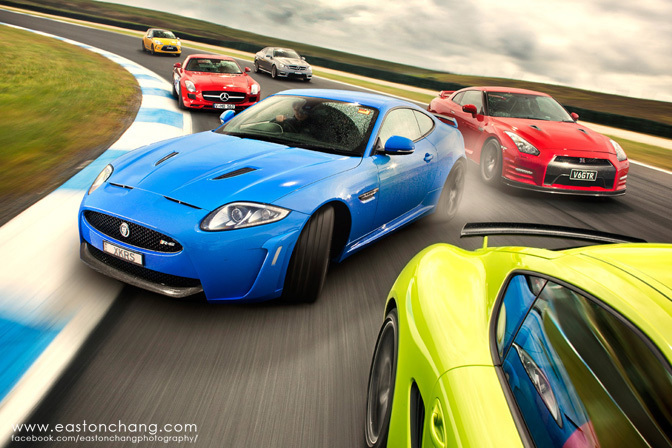 I white-knuckled the keyboard looking at the photo of the Aston drifting amidst the the pack of cars. Inspiring read and incredible camera work. Thanks for sharing SH. Great interview. 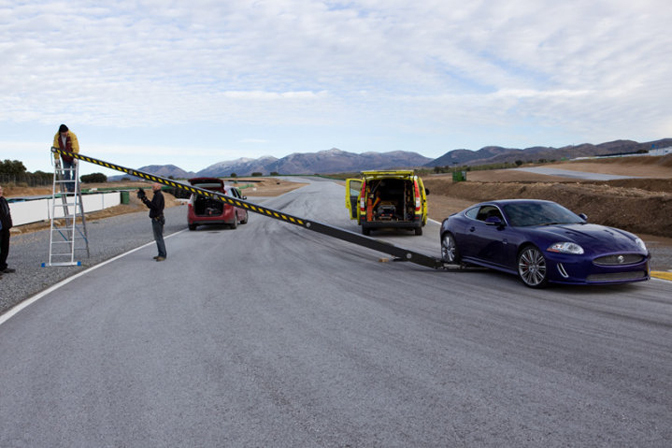 @D1, it's a Jag XKR-S.
thank you for this interview Charles. Easton Chang is hands down my #1 inspiration as a photographer. I've been following his work for years, and is consistently my biggest source of inspiration. Easton was THE inspiration for me back in the day to push me harder. Long Live the Easton! He made cars looks more interesting ! Awesome post. 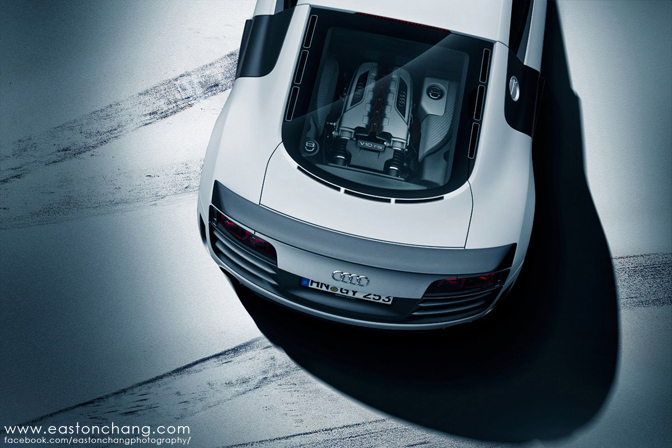 Definitely one of the best automotive photographers out there. Remember seeing the boom of photography grown through forums back in the day like FFF (in australia that is). Good to see Easton is where he's at. He's worked hard and surely deserves it! Awesome article, I love Easton's work! Easton Chang!!!!!! One of my favourite photographer ever!!! i love his shots....they seem so simple yet are full to the brim of detail!! lovely write up Charles! Like Easton u need to have a good eye and some good sense. You can't just be trigger happy. DAAAAAAYUM!!!!!! Easton Chang is one helluva amazing photographer!!! I hope i can eventually be as good as him! Always been a fan of Easton's work, ever since I followed his work on the dieselstation forums when I was in high school. He set the benchmark for automotive photography for me and although I am guilty of trying to mimic his work, I am inspired by his words of wisdom and encouragement for budding photographers to discover their own creative style. This was a great read and an interesting glimpse into the mind of one of my original sources of inspirations. I can only hope that Easton will never have to fall back on his software degree! This are very rare pictures. 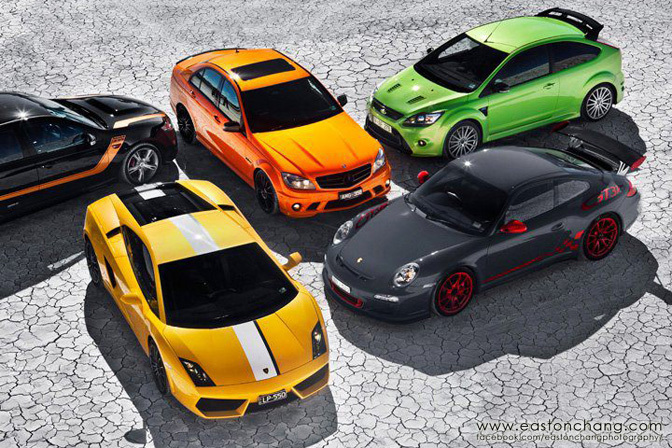 Car lover like me wants this kind of pics. Easton's photos are stunning, great to see him rewarded for his hard work and persistence in trying to create another unique and breath taking shot. I have followed Easton work for some time now, amazing attention for detail! Easton, watch out. I'm going to be the next big photographer in automotive photography. 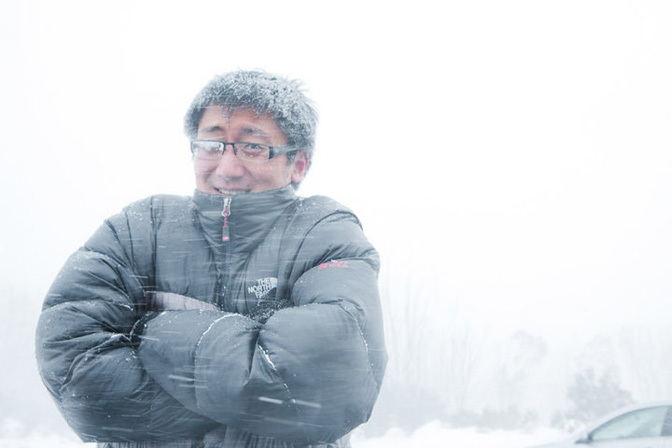 EASTON CHANG IS MY IDOL!!! Huge fan here, love all his work. Hope one day my photos can be half of what his are. Till then, he'll always be my favorite photographer. 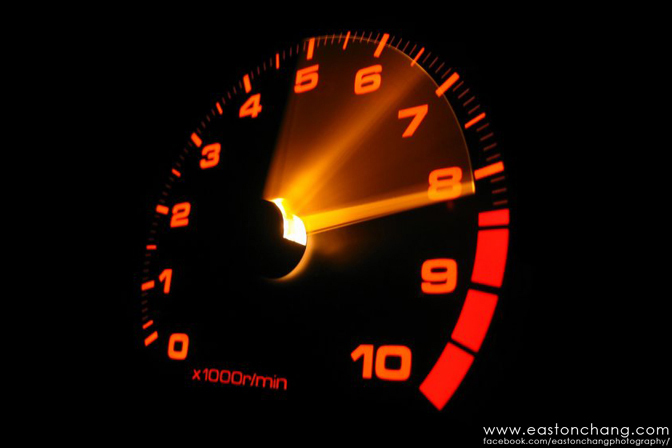 I have always liked Easton's photography, especially the shots of the NSX and the tachometer of the Integra Type-R. I love photography, but I find it difficult to create a style of my own. Amazing work!! I couldn't agree more as far as people being original and creating their own style nowadays. Great work! yo dude sick with the pic but how in the hell he get the pic of these cars while moving at high speed what it looks like to me? Easton, your photos are incredible! Keep up the great work! Having worked with Easton, I can honestly say he's one of the nicest. Maybe on of the best too, but I don't want to massage his ego too much. Its nice to actually work with Easton finally. I'm actually driving the GTR in the shot where Easton is 'drifting' the Jaguar XKR-S. I must say he's one of the reasons why I'm shooting today. Thank you Easton for the inspiration. I always had a passion for cars and now I hope to combine it with a way to make a living too, and if not I'll still love doing it any chance I get.